This is our current list of available base malts. As we bring in new grain and come up with new styles of base malts we will add to this list. We are always experimenting and exploring new flavors in base malts! A sweet malty flavor. Modified enough so it can be used in a single-temperature infusion. This malt is great for lagers light ales or a base for any beer. Deeper in color and flavor then the Pilsner. It has a light golden color to it and the flavor is of sweet malt with bready, biscuit, and slightly nutty flavors. This malt makes wonderfully rich tasting ales. A higher kilned version of our Pale Ale. Slightly darker golden color and the flavor still has the sweet malt, but with more slightly toasted bread/biscuit/nuts. This malt makes an exceptional ale. Nice deep golden color. Malted in a special way to bring out the caramel sweetness and rich nuttiness. This is a great addition for any lager or ale. Beautiful golden orange color. It is malted in a special way to bring out rich malty, caramel, honey, and nutty flavors. This is a slightly toastier and nuttier version of our Munich. It has a dark orange bordering on brown color and is lighter on the caramel and honey and heavier on the toast and nuttiness. A great addition to any dark lager or ale. Beautiful light straw color. Produces sweet bread, biscuit, and caramel flavors. Improves mouth feel and head retention. Brings a rich golden color. Produces sweet toasted bread and biscuit flavors along with toffee and caramel. Great for dark wheat beers. Expect a rich golden to brown color and a deep vast array of spiciness. Wonderfully sweet pumpernickel and honey to bold spices. Our six-row is produced from a unique variety of barley called Thoroughbred. It a descendent of a French malting variety and is grown in the eastern United States. It produces a golden colored wort. The flavors of this malt are sweet, bready, nutty, and grainy. 6-row makes it a great addition for any lager or ale using adjuncts. A higher kilned version of our 6-row Pale Ale malt. This malt produces a rich golden color. Its flavor still has the sweet and bready flavors, but the toasted nuttiness is even more prevalent in this malt. Great for any dark lager or ale. 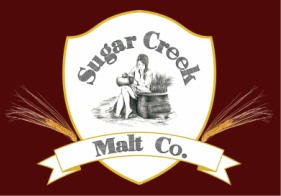 If you are a home brewer and want to use our local craft malt please follow the link to Great Fermentations. They are the sole distributer in Indiana for our malt.